If there is one type of pain that a pregnant woman doesn’t want to suffer from, it’s that of migraines. That’s a pain no one ever wants to suffer from, but to add it to cramps, bloating, and any other symptom of pregnancy is excruciatingly painful. 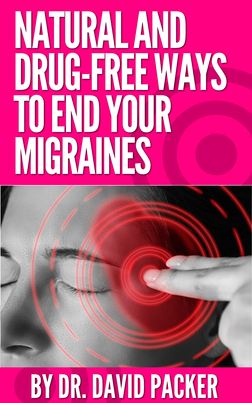 Though, the truth is that there are women who need to endure migraines during those nine months that they are waiting for that newborn child to come into the world. The further along in those nine months they get, the more they will want to find relief. And that means they’ll be more and more tempted to take drugs to alleviate their pain. While there may be a few medications that are safe for pregnant women to take, it is important that you consult your doctor. They may recommend caffeine (only drink four measured cups a day) or acetaminophen, but it’s important to not take any more than your doctor’s recommendation. Just remember, whatever goes into your body during those nine months also goes into your unborn child’s body. Though, while these may be prescribed for certain pregnant women, it doesn’t work for all soon-to-be mothers. Caffeine can trigger migraines in some women, and acetaminophen just may not be effective. There are other options that should be considered, which we listed below. Natural methods that can relieve migraines include biofeedback, massage, acupuncture, water aerobics, meditation, and yoga. These all reduce stress, and sometimes stress is what triggers migraines. So, for some migraine sufferers, the more they focus on controlling their stress, the more they will control their migraines. Of course, it should go without saying, that along with these, another way to control your stress is to avoid situations that cause stress. Sometimes, a person can find relief from their migraines by just lying down in a peaceful, dark, quiet room and resting. The trick here is to apply a cold compress on your forehead or neck. If you can manage to clear your mind and fall asleep, there is a good chance that you’ll wake without a migraine. Try this method before the pain gets worse, as this will slow it down and prevent it from getting any more painful. This is a gentle and specific type of chiropractic that focuses on enabling the body to heal itself. The upper cervical chiropractor does that by examining the neck for any misalignments in the top two vertebrae in the neck. A misalignment in those two vertebrae of only ¼ of a millimeter places pressure on the brainstem, which hinders the brain’s ability to communicate with the body. After the upper cervical chiropractor examines your neck for any misalignments, they’ll make any necessary adjustments, so your brain can communicate with your body unhindered. 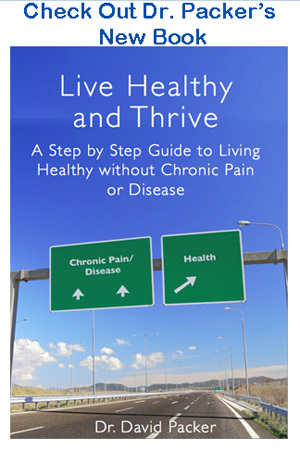 This will enable your brain to communicate with your body, thus allowing your body to heal itself.